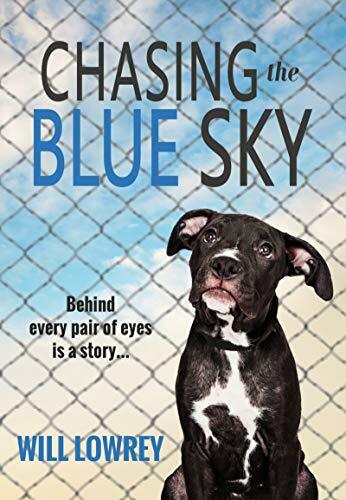 Chasing the Blue Sky follows the life of a shelter dog from one home to the next. Why was this an important book for you to write? There are so many animals in our shelter and adoption system that it is often improbable for people to actually place an individual face or story with many of them. They are often relegated to statistics or ambiguous shadows behind kennel fencing. I wanted to write a story to help capture for people the vibrant life that exists in every one of those statistics or shadows. Having spent a great deal of time around shelters and dogs that have otherwise been abandoned on chains or in backyard kennels, I have seen so many dogs with great possibilities for life who were restricted based on their circumstances. The intent of the book was to try and show people that every one one of those dogs is rich, hopeful, and brimming with the chance to bestow the amazing gifts that all dogs give to us. I wanted to bring people behind the kennel walls using Toby’s story as a vehicle to share the voice of so many forgotten animals. The story is told from the eyes of a dog, and delivers innocent but intuitive views of the world. What were some inspirations for Toby’s character? Toby was particularly inspired by my first dog, Mack. 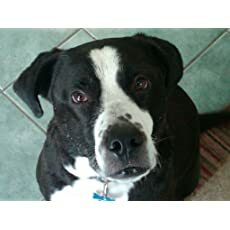 Mack was a black and white pit bull mix who was adopted as a puppy from a city shelter. He was such an amazing dog – loving, kind, smart, and patient. He was everything anyone could ask for in a dog. But before I adopted him, he was a dog in a kennel. He may have been overlooked a hundred times and depending on the circumstances he found himself in, he may never have had the deserved chance to show everything he was capable of showing. He inspired me to let the world know that there are countless dogs just like Mack that, if given the chance, will be the greatest gift you may ever know. The story is heartfelt and beautifully told. What were some of your driving ideals throughout the story? As mentioned above, I wanted to bring people closer to so many dogs that are so often forgotten. My driving ideal was to be true to the reality of the world. It would have been very easy to write a book that was upbeat, and happy, and full of feel-good moments, but that would have been disingenuous. The book tells stories that I have personally seen over and over again over the past 15 years. This is real life. Often it is gritty and tough to see. Sometimes the situations in the book are tough to read but to address the problems facing thousands of dogs in our country, we must first face the truth. I also wanted to portray some of the unique challenges facing pit bull type dogs. These situations are also based on real stories and scenarios I have come across or personally dealt with. The world is harder if you’re a pit bull type dog and it is important for people to understand the obstacles arrayed against these dogs. My focus is on books that promote the integrity, rights, and interests of animals. I am currently working on a second book which takes a very different theme. This book is a post-apocalyptic, dystopian novel set in the aftermath of a pandemic. The story follows the owner of a neglected roadside zoo, his personal journey to survive, and the evolution of his view of animals in light of the savagery of man that has suddenly engulfed his world. I expect it to be released early Summer 2019. When life with his loving family takes a sudden turn, Toby finds himself fighting to survive in the unforgiving world of the county animal shelter. But he’s not alone – a motley cast of homeless dogs and a devoted pair of shelter workers will give anything to make sure he finds his forever home. If you’ve ever adopted, rescued, or fostered a dog – this book is for you. This is a powerful book that kept me enraptured from the start. This poignant tale gives us a dogs-eye-view of a journey through a sometimes happy and often difficult life. From the sadness of leaving his mom as a young puppy, traveling through various homes, finding a loving home and losing it. The reader must experience great sadness and pain against animals who are defenseless and abandoned. If you are an animal lover this story will pull at your heartstrings. This is such a brilliant perspective encourages advocacy for animals. If you don’t shed a few tears while reading this, you must be asleep! The writing is easy to read but not juvenile, as you might imagine with the perspective of a dog. The innocence of it is heart-wrenching at times, as if from the eyes of a child. I love all the descriptions and explanations for the dogs’ responses along with the actual dialogue between the animals. This was so endearing. The author masterfully created Toby’s world through his innocent observations that were without all the hyper analysis often accompanying descriptions of human emotions. Although the animals display innocence, they certainly are not dumb, on the contrary, there is so much intuition there that anyone who is bonded with a pet can understand. I love the relationships and bonds formed between animals as well. This story paints a sad picture of shelter life. This is a great book if one is looking to inspire shelter adoptions, which may have been the authors intent. The picture painted in this novel is not pretty and It certainly created a great sense of compassion in me and interest in adopting an animal from a shelter in the future. This book is deeply penetrating and thoughtful. The writing is beautiful, full of innocence but also depth. This is a quick and impactful read that should be kept on hand for anyone wanting to promote shelter adoptions! 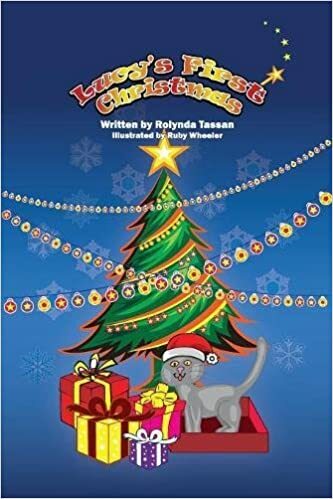 Lucy’s First Christmas is the heartwarming tale of Lucy the rescue cat’s first Christmas with her adoptive family. There is so many directions to take a holiday story, how did you settle on this story line? Having a new pet during the holiday season can be stressful for them, the established pets, and the family. The family dynamic changes with the additional family member. I wanted to show that there is plenty of room and love to go around. I felt like there was a lot of love and truth in this story. Did you take anything from your own life and put it in this story? Do you find that pets are usually extra curious around the holidays when humans are decorating? Absolutely, the sights, scents, and sounds that go along with the holiday season are very enticing to pets. The constant activity peeks their curiosity even more. That’s why it’s so important to take extra safety precautions for your pets during the holiday season. The fourth book in the Lucy’s Tale series, Lucy goes to the Vet, will be available spring 2018. Tomorrow is Lucy’s first Christmas. Everyone is busy getting ready for the big day. Lucy wants to help. But when she tries to help Mom wrap presents, she makes a mess. When she tries to help Dad decorate the tree, she tangles the lights. When she tries to help Ben build a snowman, she gets stuck in a snowdrift. Surely there must be a way for an eager kitten to help! Two Polluted Black-Heart Romances follows the lives of a vampire, fairy and mummy who are caught up in a world of chaos as they try to escape the wrath of the wraiths- a paranormal group that is bent on revenge on the unlikely trio. Air spirits, talking cats and the cursed undead will all play a part in this fantasy novel as they bounce between gaining record deals and fighting supernatural monsters. Meanwhile, another version of chaos is threatening to destroy their world and they must find a way to work together to fight an evil like no other. 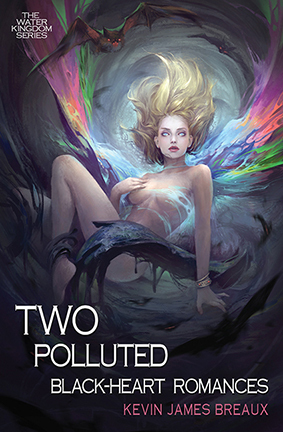 Two Polluted Black-Heart Romances, written by Kevin James Breaux, is an action packed fantasy novel that collides the modern world with magical creatures and supernatural beings. Each mystical being (and human!) are trying to find their place as they revel in the aftermath of destroying evil. The story flips between various perspectives of the characters, keeping us up to date with what is happening in the story progression. The different characters and their personalities mean that the mood of the story can change drastically, one moment you may be watching through the eyes of Sabrina as she seduces old flames and the next moment you are underground with a human and undead as she passionately tries to protect her love. One of the most interesting characters was Cade. Cade has unique senses and an ability to bear fangs to persuade a situation. Being a vampire has its perks however Cade finds himself torn between the people of his past and present. His character was one of my favourites as the reader is treated to his heroic rescues and violent deaths. I appreciate Breaux’s ability to paint a picture with his words and I found it easy to imagine the vampire devouring humans, lured by the innocence of puppy dogs. The modern twist made the story feel relatable. In a matter of pages, you are transported from a mass murder of winged creatures to discussing Justin Timberlake in the recording studio. It actually also provided a bit of comic relief as in the midst of a tense scene, celebrities were named dropped like it was your everyday Hollywood scenario. It wasn’t just the name dropping that caught my attention though. Some of the plot eerily replicated scenarios that could happen in real life as the plot delved into sinkholes, pollution and the threat of terrorists. One character I found to be confusing at times is Sabrina. Sabrina is a winged creature, descent from royalty. She is quick-tempered, passionate and at times childish. At times her character was frustrating and I found myself mentally wanting to tell her what to do! Her character eventually grew on me though as she soon begins to accept and acknowledge the affects her decisions have on her friends. I would recommend this to anyone who enjoys a fantasy novel that twists into a modern day adventure. I look forward to reading the next installment and finding out what happens to each of the characters. 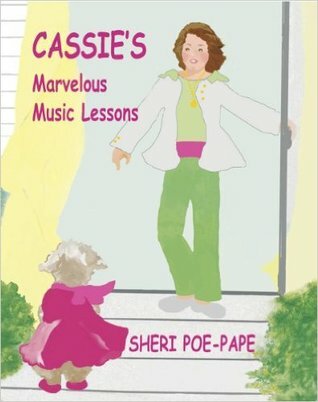 Cassie’s Marvelous Music Lessons is a charming children’s story about a lively puppy and her love of music. Where did the idea for this fun story come from? I run a music school. My own miniature white Schnauzer, Cassie, gave me the idea by smacking my hands off the piano. This seems like a very relateable story for anyone that has a pet. Did you put anything from your own life into the story? Just ideas from my dog, Cassie. I have three sequels based on her that will come out. The art in the book has an interesting artistic flare. What decisions went into choosing the art direction? It was all decided by the publishing companies illustrator, Doris Wenzel. My first sequel, “Cassie Pup Takes the Cake? ?” will be out towards fall. 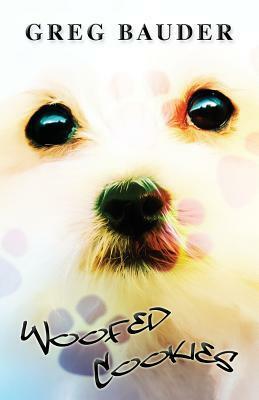 Woofed Cookies by Greg Bauder is an entertaining, but short read. The story follows Peter Moon and his dog named Cookies as they go through a whole breath of conflicts and tribulations. His best friend, Tiger Moss, pressures him into smoking, a strange man keeps appearing menacingly, and Tiger’s little sister is enamored with him. Peter confronts all of these with Cookies by his side who is gifted with a neat little trick; throwing up everywhere at any time. The book begins with Peter being down on himself for not having a puppy and being alone most of the time, since his mother is a nurse. This situation is rectified, and the book truly begins, when he receives Cookies on his birthday. Bauder does a great job of recalling what it was like to be a preteen and getting into trouble with your best friend. The joy of having a puppy is felt here, even if I question the mother’s recommendation of “flushing the dog poop down the toilet”? I mean, what happened to the garbage can? The rest of the book precedes with what you would normally expect. The story did take some turns that I was not expecting and the point of view with Peter is arm’s length, so you are never really sure what he is going to do as the reader. I do think that the book reads a little “simple” for the audience I believe Bauder is aiming for, but I can forgive that for the fact he has an entertaining story. To take the everyday, messy occurrence of a dog throwing up and make that the title, is rather ingenious. It also steals the show away from Peter, because I found myself reading the pages looking to see what Cookies was going to do next. The lack of agency on Peter’s part was a little of a let down, especially as a children’s book, but I believe that the escapades of Cookies makes up for it. The actual pacing of the book is a little choppy and does include two scenes that almost entirely mirror one another, which is kind of strange for a children’s book. I would love it if Bauder could make Woofed Cookies into a series of books of Peter and Cookies and I would not mind at all. There is something timeless about a “boy and his dog” and as a reader I could not get tired of that. This story is a classic paradigm with a new spin and I want to see what else Bauder has up his sleeve. All in all, I believe that Woofed Cookies is an excellent book to give to your child for an afternoon of adventure. Cassie’s Marvelous Music Lessons is a charming children’s story that is about a lively little puppy dog and her love for music. Cassie, the dog, finds herself in a studio that is filled with upbeat tunes that fill her heart and soul and leave her little tail tapping to the beat. A lady, by the name of Mrs Applebaum, is the cause for such beautiful rhythms and soon Cassie realises that her passion for music and teaching must be heard! However, Mrs Applebaum struggles to understand Cassie’s dreams and desires and together they must come to an understanding through the language of music. 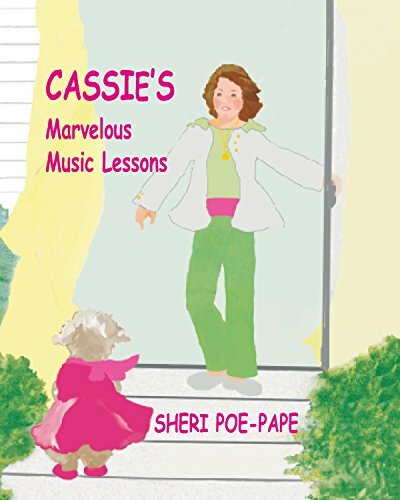 Cassie’s Marvelous Music Lessons, written by Sheri Poe-Pape is a delightful children’s story about a family’s favourite pet- an excitable pup by the name of Cassie. Cassie is a lover of the beat, and with her musical ear, she is eager to transfer her passion into teaching. Beautifully written, this story will put a smile on your face as you vividly imagine the little pup tapping away to the beat of the music, desperately trying to show that she too could potentially be a teacher one day. Perfect for the young ones, this short story will fire up their imagination as they begin to wonder what secret talents their beloved family pet could secretly possess. I found myself wondering if my little puppy dog was actually trying to tell me that she too could possibly be a musical genius beneath that big furry coat! I love how Sheri Poe-Pape puts into perspective how your pup may be trying to communicate and leaves you questioning what your pup might be saying between their barks, growls and howls. Cassie’s vibrant personality and determined nature will help show children that your dreams are certainly possible- as long as you are persistent! You can almost hear the music being played in the studio as you read the songs which have quirky titles such as “A Starry Night Howl”. Between these furry tunes, you will find Cassie desperate to communicate with her owner through the rata-tatt-tatting of her furry tail and the howling of her passionate bark. The themes within this story could also apply to people attempting to speak to each other through different languages and how music could be used as the universal way to converse with each other. Overall Cassie’s Marvelous Music Lessons will serve as a heartwarming reminder that it is important to never judge a book by its cover (or by its fur coat!) and the only limits are the limits you put on yourself. As it is family orientated, Cassie’s Marvelous Music Lessons would serve as the perfect bedtime story or for a child learning to read short stories. Sheri Poe-Pape’s uplifting style of writing leaves you feeling joyful and inspired to fulfill your goals and pursue your dreams- no matter how big they may be! I would recommend this for children who enjoy amusing short stories involving little furry friends!